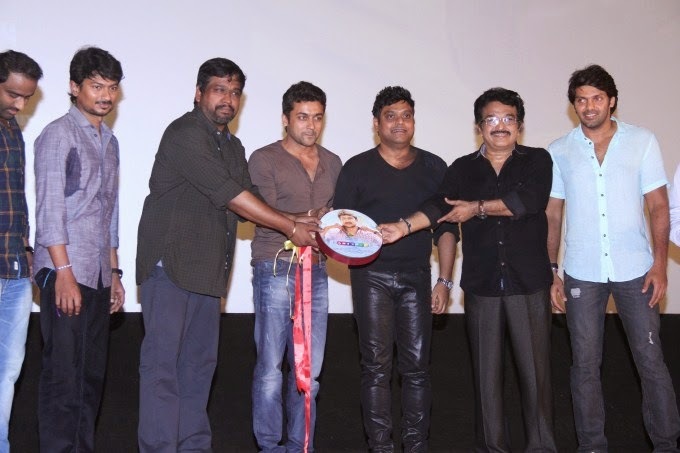 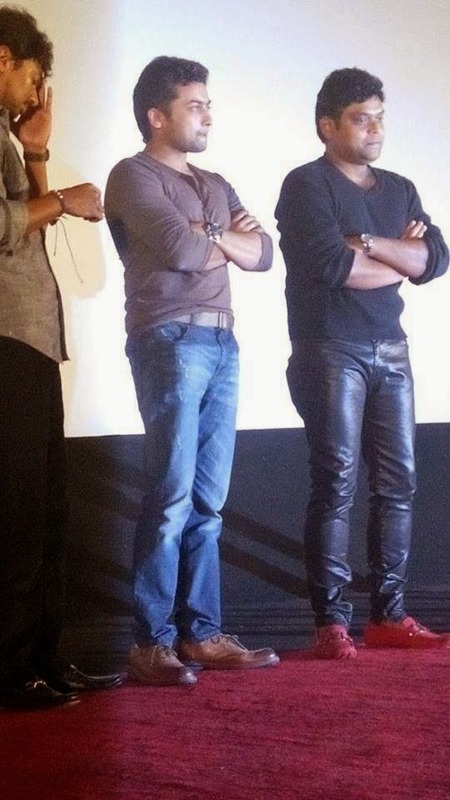 Actor Surya attented the audio launch of new movie Nanbenda starring Udhayanithi Stalin and Nayanthara in lead role. 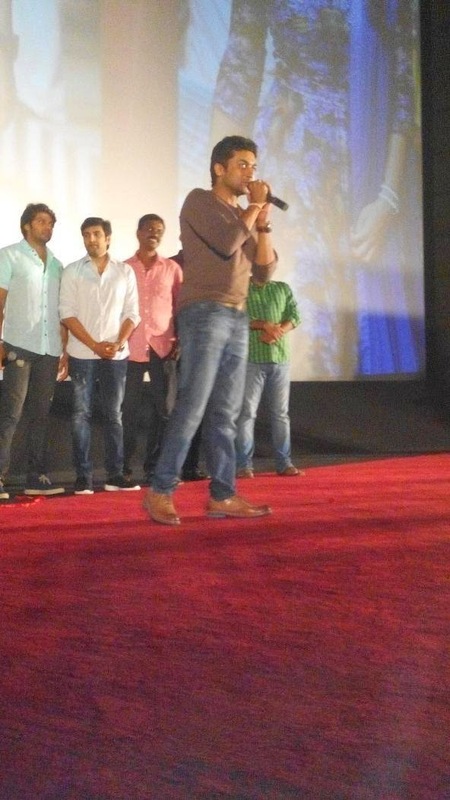 Nayanthara is a changed person now, I have been working with her in Masss anjd the experience is great. 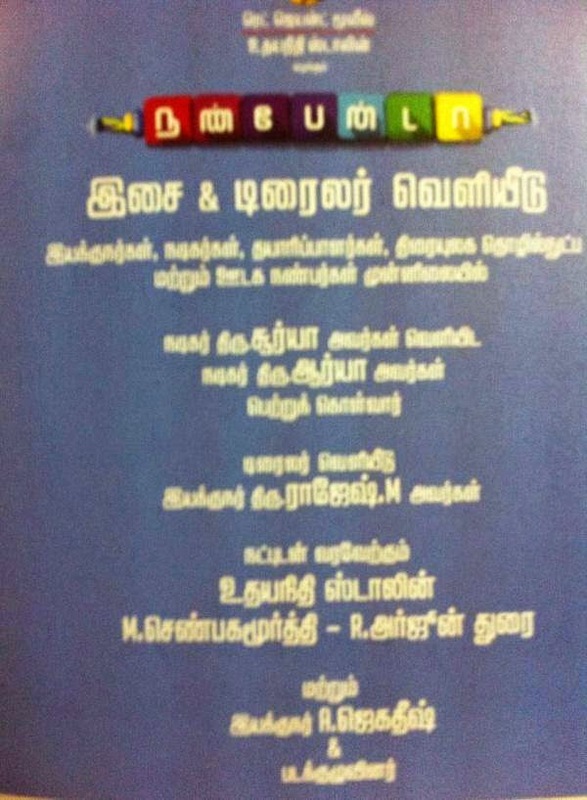 I call Udhayanidhi as my boss, he was my ‘Mudhalali’, as he produced two of my films and this audi launch is like ‘Thiruvizha’. 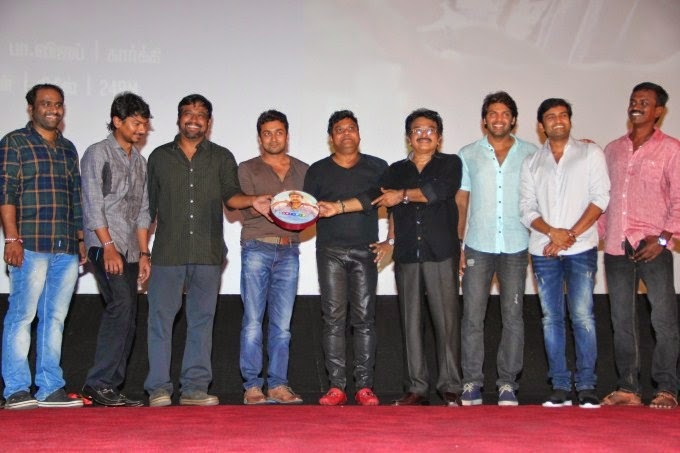 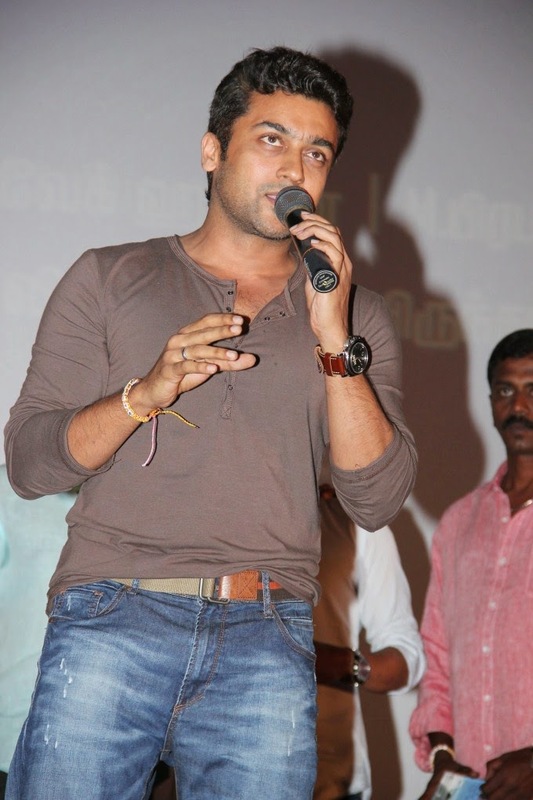 Here are some pictures from the audio launch, Surya had a great time there.